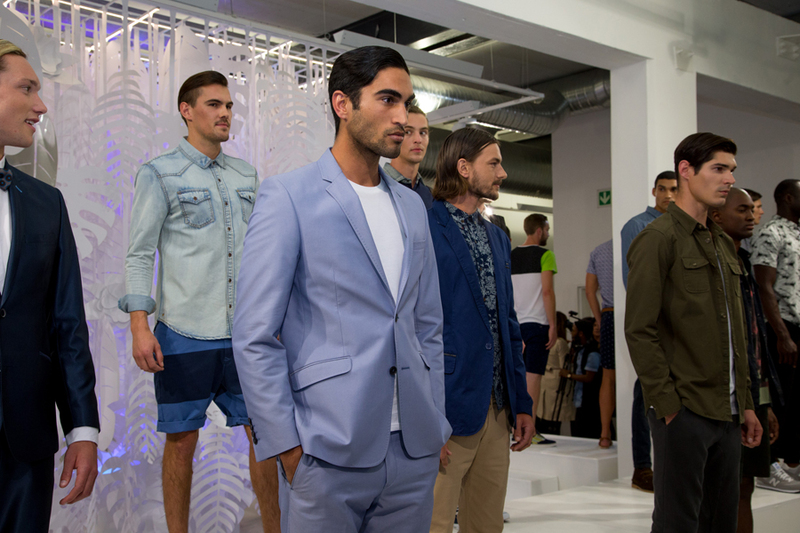 Spree is a pioneering force in terms of local fashion and appears to be moving South Africa more inline with international fashion practice. Why the decision to host a Lookboard event as opposed to a traditional fashion show? At Spree we always opt for a fresh approach and a new way of doing things. By inviting people to a Lookboard-styled event we are offering a look at the ‘Spree’ perspective on the 2014 summer trends, and it coincides nicely with our belief in offering people a carefully curated selection. 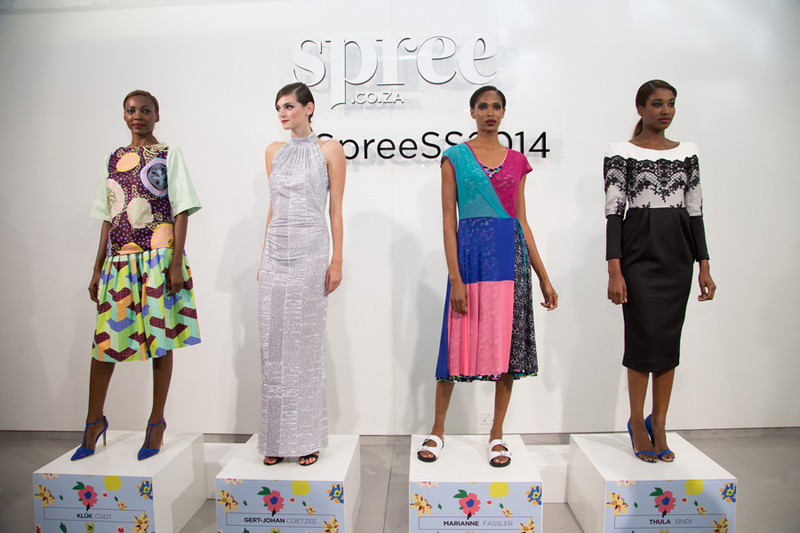 Spree is South Africa’s first online shop to offer a “magazine-styled shopping experience.” Do you believe Spree’s offering is changing consumer-buying behaviour in the SA fashion space? Generally, online shoppers head to a website with a fairly good idea of what they want to purchase. Their buying behaviour is categorised by getting “in and out” as quickly as possible and their relationship with the online brand is largely functional. This is not what we’re seeing with Spree. Whereas the Clicktale Web-Analytics Benchmark study indicates that users spend on average between 70 and 200 seconds on e-commerce sites, Spree surpasses those averages by up to 100%. By merging great content with e-commerce, Spree has been able to create the ultimate playground for fashion, beauty and décor shoppers. We’ve noticed that by presenting shoppers with a Spree-specific point of view, via our curated selections, style advice and editorial content, we’ve increased consumer engagement with our brand and our store, and made our website more ‘sticky’. Although some customers may still be coming to the website to quickly scan what’s new or purchase a particular item – the magazine-style experience draws them in, inspires them, gets them to linger for longer and consider more products. By tracking browser behaviour we can see that Spree shoppers’ engagement is continuously growing which is resulting in higher basket sizes and great conversion rates. South Africans are telling us they understand and enjoy our offering and they’re thanking us by being loyal customers. 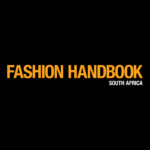 You talked about the Lookboard event acting as a ‘point of view’ for Spring Summer 2014 – can you tell us your thoughts on how the South African fashion public receive and translate international trends? Trends are universal and everyone in the retail arena follows them in some way or form so the decision was made to look at the trends from a specific Spree point of view. Our decisions were based on trend analysis, on an understanding of our audience and shoppers, as well as what’s happening in fashion on a global and South African scale. In South Africa we always have a very specific uptake of trends; which is not always the same as the European or American market. Our climate needs are very different, we embrace colour more and therefore trends need to be tailored for our market. Spree inspires online shoppers through beautiful editorial-style lookbooks, fashion stories and the Spree Journal, making it a destination to visit to do more than just shop. How do you feel that the Lookboard event will bring Spree’s fashion vision and unique offering to life? The vision is that you can come to Spree every day and find something fresh and new. So not only to shop for something you already want or need, but to inspire you, to pique your interest and enhance your wardrobe in new and unexpected ways. We help you make your life look fabulous. The Lookboard event is an edited vision of Spree’s point of view and showcases the most exciting products available at the start of this new season. Why the decision to work with Katryn Kruger? She is possibly the most famous model South Africa has produced in recent years and she is spectacular. We took a chance with her extremely busy schedule and with sheer luck she was available. She has been the face of numerous international fashion labels such as Chanel, Prada, Dior and Oscar de la Renta (just to name a few), and we are honoured to have her represent Spree. Your top five trends for the 2014 season? Your top Spring Summer menswear trends? Which of these trends do you feel cross over between men’s and women’s fashion? Men’s and women’s trends have aligned well this season, but are interpreted very gender specifically. 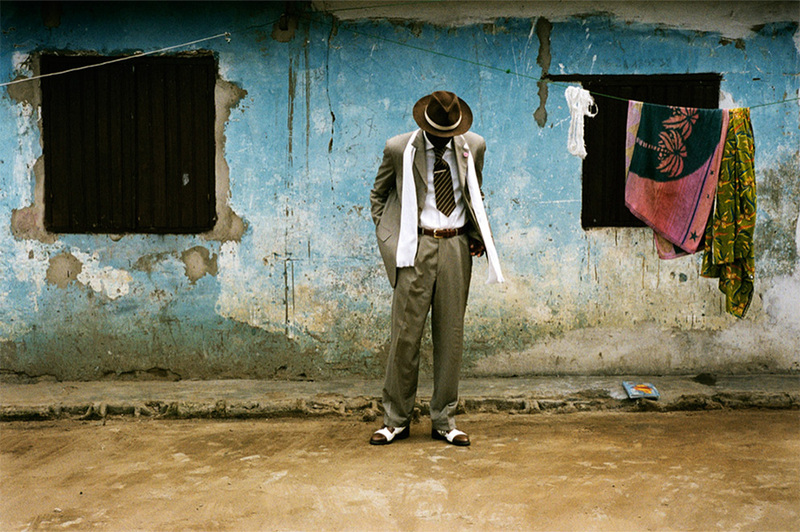 Tropical prints and art inspired looks (more whimsical for women, more graphic for men) can be worn across the divide. Which of the SS trends best suits a fuller figured woman? We are of the opinion that anyone can wear the trends, and that size has nothing to do with it! You have been working closely with South African designers to create capsule collections for Spree Boutique – how did you go about selecting the designers? And how do you feel the designers enhance Spree’s offering? 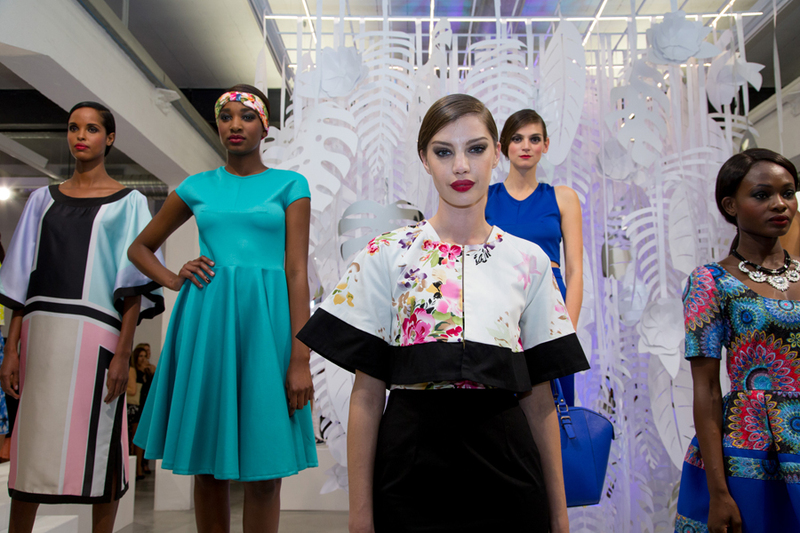 The South African fashion landscape is one that is as diverse as it is ever evolving; an industry that celebrates beauty, creativity and most of all the talent that is constantly appearing from all corners of our country. 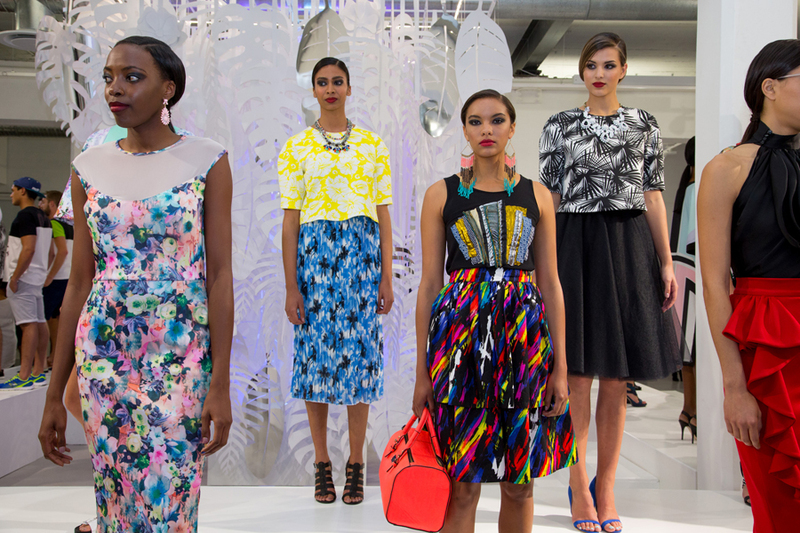 It is with this talent in mind that the Spree Fashion and Buying teams focused on fashion events, appearances, exhibitions and news to select designers from all over South Africa that needed to be showcased and celebrated. All aspects were taken into consideration, from impeccable craftsmanship, flawless fabrication and unique design; but most of all we looked for that special ‘something’. That something that sets a designer apart, a fresh way of looking at clothing, at lines, at colours and at trends, and interpreting them in a way that creates beautiful looks that can be worn by every woman. The designers featured are as transient as the seasons; as fashion evolves and shapes itself, so will the collections that are spotlighted. The Spree Boutique aims to showcase the incredible quality of design that can be found locally, and best of all: it can all belong to you. Why have only select Spree Boutique designers been included in the Lineshowing itself? The Spree Lookboard event is a curated selection of what we consider the most important trends for the upcoming season. While some of the pieces featured in the Spree Boutique do reflect fashion’s penchant for certain trends, many of the other looks are a showcase of timeless style and craftsmanship that transcends across all seasons and trends. Simply put, the Lookboard is reflection of what awaits ahead during SS15, while the Spree Boutique makes covetable items by local designers accessible to all. What’s the dream for Spree Boutique? To have a transient collection of the most exciting South African design available.